At art school I was interested in artists who appropriated copyright and public domain material to create new works, and I used archive material and creative commons licences in my own work. I spent four years working in a variety of archives, museums, libraries and galleries, before qualifying as an archivist in 2012, taking an MSc in Information Management and Preservation at HATII, University of Glasgow. 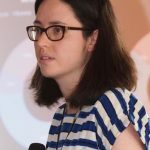 I joined CREATe, School of Law, as a Research Assistant working on Copyright & Risk: Scoping the Wellcome Digital Library project, before starting the linked PhD study, Archives, Digitisation and Copyright, in September 2013. 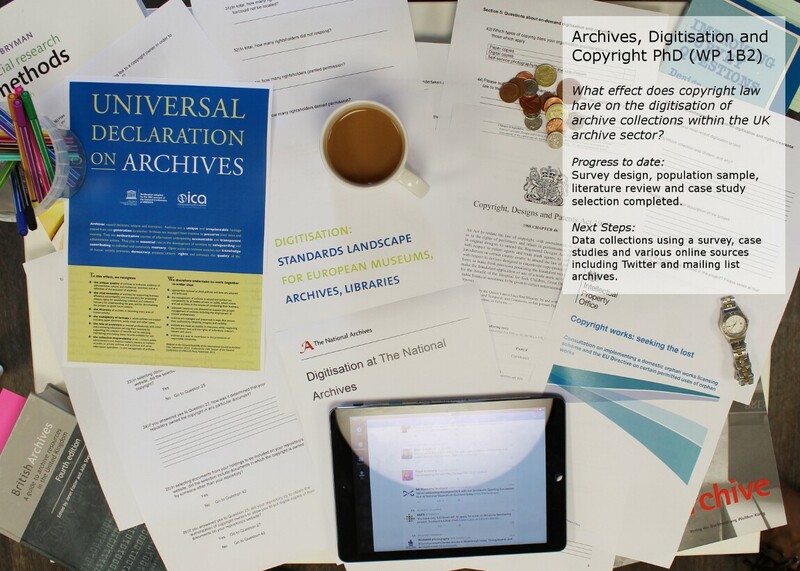 I also work as Copyright Policy Advisor for the Scottish Council on Archives, representing them at the World Intellectual Property Organisation and providing CPD training for the Scottish archives sector. £6000 Research Grant (PI) from Archives and Records Association UK & Ireland towards the creation of a set of digital conference proceedings for Archives and Copyright: Developing an Agenda for Reform, held at the Wellcome Trust, 27th September 2013. £1500 Research Grant (CI) from British and Irish Legal Education and Technology Association (BILETA) towards the creation of a set of digital conference proceedings for Archives and Copyright: Developing an Agenda for Reform, held at the Wellcome Trust, 27th September 2013.